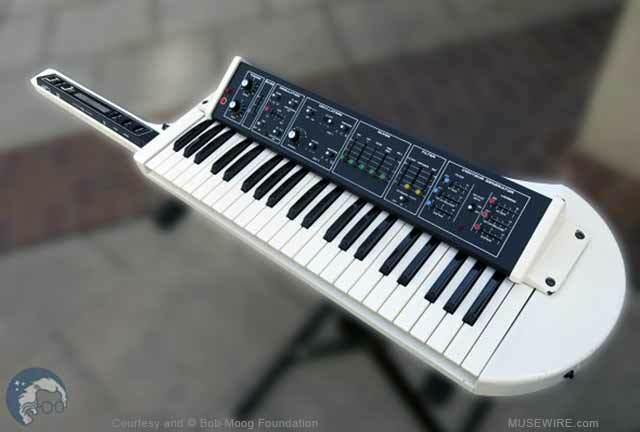 The non-profit Bob Moog Foundation in North Carolina today announced a new charity fund-raising raffle for a rare white Moog Liberation Synthesizer “keytar.” The raffle will run from March 16 through April 20, 2015, and tickets are $20 each. 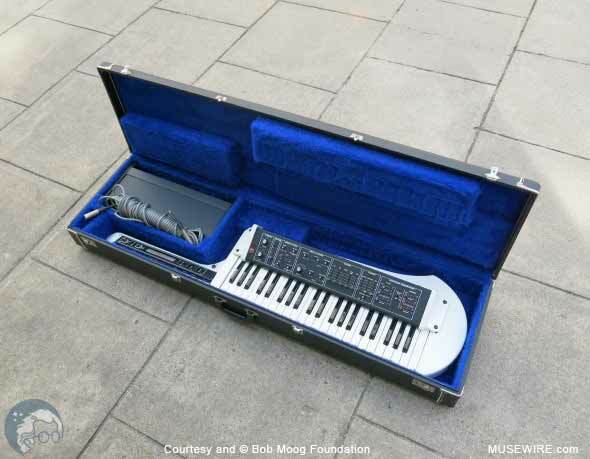 “The Moog Liberation has a special significance to the Bob Moog Foundation. Through the Foundation’s archives, we are the proud stewards of the Liberation prototype, a host of fascinating schematics, and a variety of conceptual drawings,” says Michelle Moog-Koussa, Bob Moog Foundation executive director. The instrument is in excellent technical condition. It has been meticulously restored by highly regarded restoration studio, Tone Tweakers (www.tonetweakers.com). There are minor exterior flaws comprised mostly of small chips in the paint, a badge of its vintage status. Serial number 1858. The instrument comes in it original case, which is also in excellent condition with only light wear on the exterior. Also included are the power supply/interface and a 40-foot cable, both in excellent condition. • Dr. Bob’s SoundSchool, our custom sound-science curriculum sharing Bob’s legacy with a new generation. • Our archive preservation initiative: protecting, preserving and SHARING items of historical and technical importance, like our recent schematics release. Six tickets ($100) pay for two students to experience an entire semester of sound science in Dr. Bob’s SoundSchool.